This can be served hot an a pudding with custard or cold as a cake. Preheat oven to 160°C and grease a 20cm cake tin. Melt butter in a large bowl in the microwave. Mix in sugar then egg and sultanas. Sift dry ingredients into the apple mix and stir just enough to blend ingredients evenly. Spread the mixture into prepared tin and bake for 45 minutes or so. Allow to cool for 5 minutes before removing from the tin. 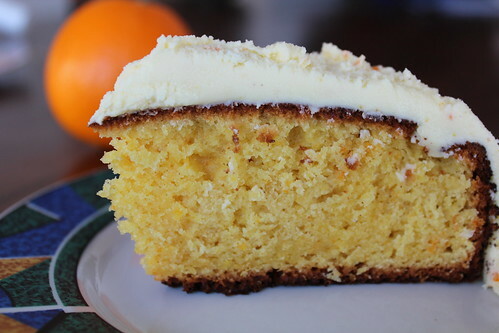 This is the first cake I seen that uses an entire orange. Most use only the zest and maybe some juice. It comes from my friend Colin Hopcroft. I overcooked this the first time I made it (see photo). The original recipe said to bake it for 40-45 minutes in a ring tin, so I was surprised to find it overdone when I checked it at 35 minutes. 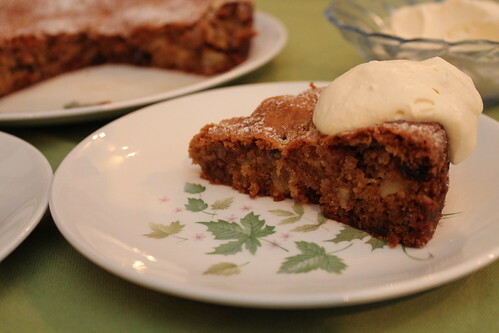 You can use self-raising flour instead of the flour and baking powder. Grease and flour a baking tin. Process the whole orange until well puréed. Add eggs, sugar, and butter, mixing well. This can be done in the processor. Sift flour and baking powder, and fold into orange mixture. Bake 30-45 minutes, or until a cake-tester shows it is cooked. Cool, and either ice with Orange Icing, or dust with icing sugar when serving. 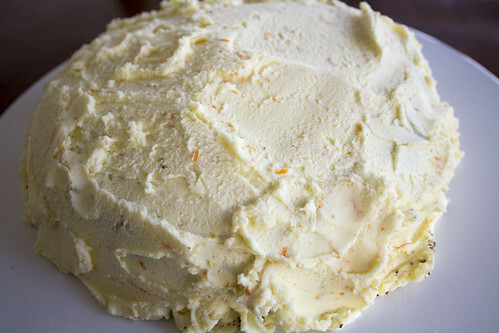 An orange cake deserves an orange icing. Add zest and beat well. Add icing sugar, orange juice, and beat well, adding more orange juice if required. Spread onto cooled cake and enjoy.